While Mercury Girls are in the midst of wrapping up their debut, they’ll be a huge part of the Continental Drift compilation, which also features the likes of the Spook School, Tigercats and Wildhoney. One of their tunes just went up this week from the compilation, featuring the shimmering guitar work you’ve come to expect from a band with Kevin Attics; the quick drum work isn’t too shabby either. It all lines up perfectly to leave room for the soaring vocals, which inevitably hold the listener until the end. 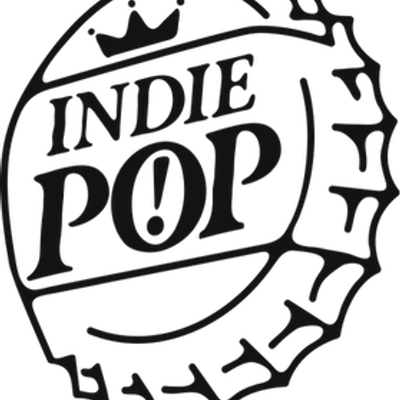 Be sure to get your copy from Slumberland and Fortuna Pop on August 26th. 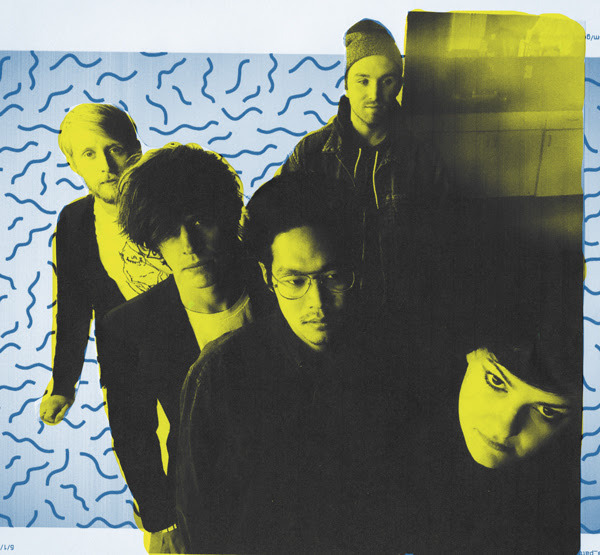 My affinity for indiepop/shoegaze doesn’t ever fade, especially when one of my favorites, Wildhoney, come to mind. 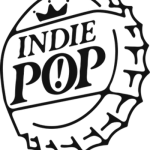 The band will be featured on what is already an incredibly anticipated release from Fortuna Pop/Slumberland Records…a four-way compilation featuring The Spook School, Tigercats and The Mercury Girls. This tune definitely looks more to the Wildhoney’s bouncier side, whilst still including that delightful wash of atmospherics atop. I’m a fan of the short bass solo in the song’s latter half before they blast back into infectious exuberance. You’ll have to get your hands on this when it hits on August 26th. Already pondering whether a compilation can be album of the year…on my end anyways. 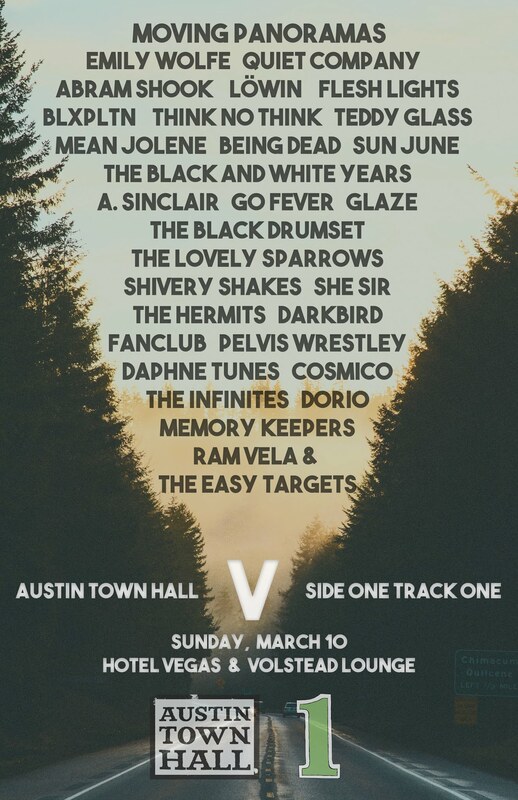 SXSW is nearing, and ATH has been working with our friends at ATX Popfest to bring you what we know is THE place to be on Wednesday, March 16th. 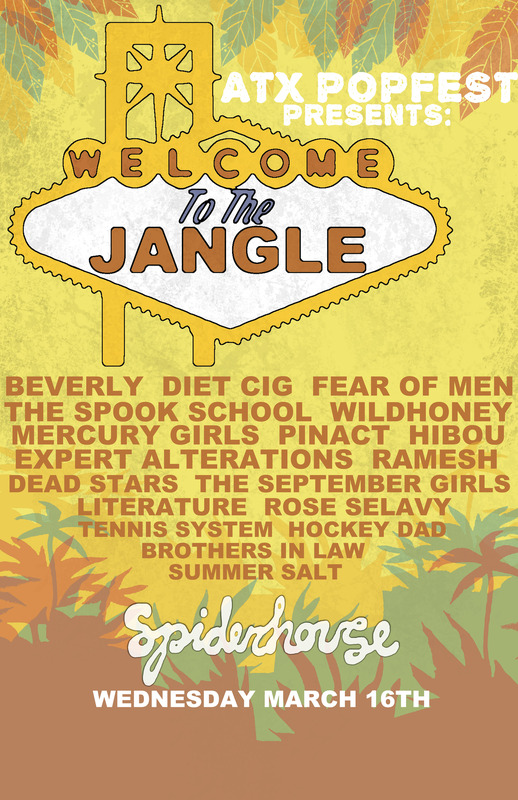 Welcome to the Jangle! 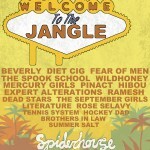 Those of you who are pop fans need to come over to Spider House on that day, starting at 12 PM. It’s ALL AGES, and will go all day and night…filled with some of the best talent coming into town. Here’s a quick list of who all is playing: Summer Salt, Hockey Dad, Pinact, Mercury Girls, Wildhoney, Brothers In Law, Beverly, Expert Alterations, Rose Selavy, Fear of Men, September Girls, Diet Cig, Spook School, Dead Stars, Hibou, Tennis System, Literature, and Ramesh. We’ll have more details as we get closer, but wanted you to plan on taking the day off to spend it with us. 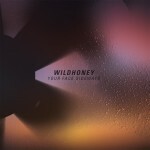 I’m still playing a little catch up, going through my favorite sites and labels for new tunes…so I blame that for missing this Wildhoney jam during the weekend festival. We’ve clearly hyped the band up plenty before, but I think this track might be the one that lets people see that it’s not just us. You get to hear their complete sound shining here, knife-like guitars cascading in and out behind a melodious vocal performance. You’ve got two weeks to familiarize yourself with the band before their new Your Face Sideways EP is released via Topshelf Records. Why Aren’t You Listening to Wildhoney?!? 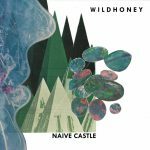 I’m pretty sure we warned you (through the help of our friends warning us) about how great Wildhoney is? 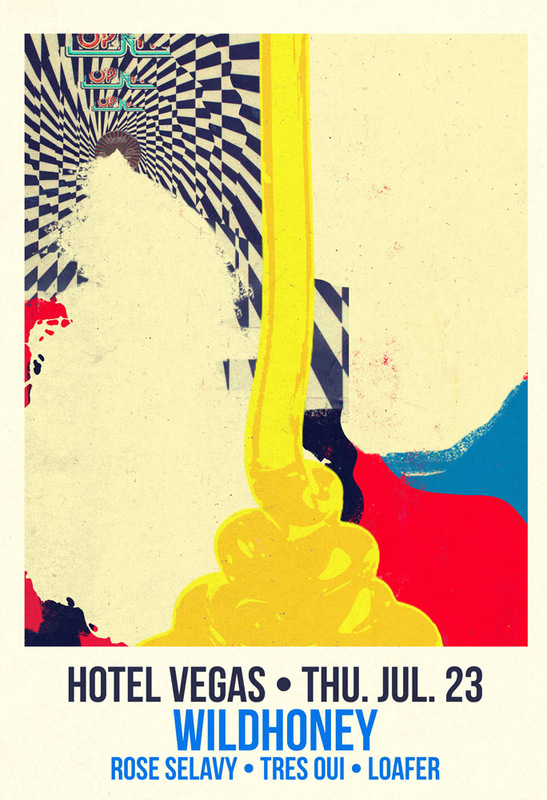 Personally, one of my favorites shows this year included them playing with Expert Alterations at Cheer Ups earlier this year…then caught them again a few weeks later at Hotel Vegas. 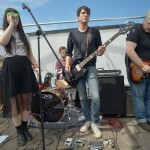 The Baltimore act crafts a brand of shoegaze that is often bombastic and abrasive, yet can turn in an instant to an innocent fragility that softens the heart. They’re back again already with the brand new Your Face Sideways EP, which is being released by Topshelf on October 16th. Austin’s got a lot of musical things going, even a growing hip-hop scene, but one thing I’ll admit it lacks is a truly solid indiepop scene. It might not be everyone’s cup of tea, but it’s one of my favorites, so I’m always clamoring for a great show. 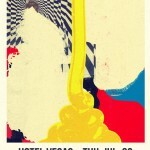 We’re getting just that tomorrow night at Hotel Vegas as the dreamy Baltimore shoegazers in Wildhoney will be gracing us with their presence. That alone is enough to warrant your attendance, but there’s three local acts that are just as good. 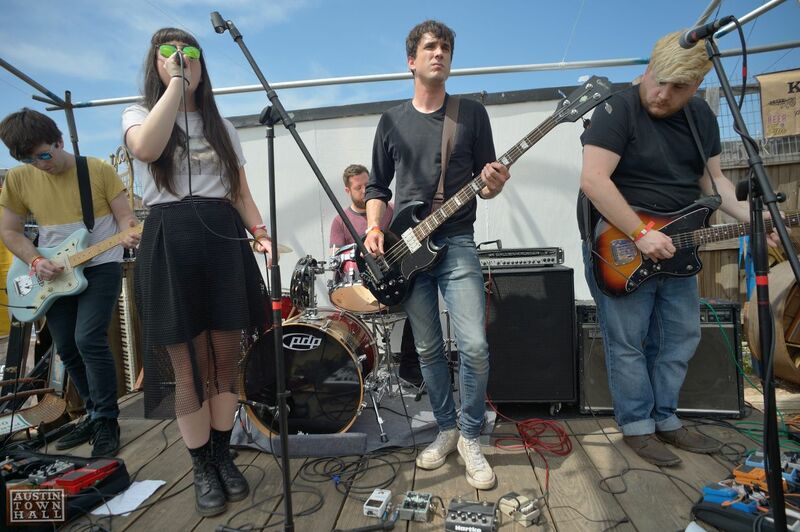 You’ve got Loafer, Rose Selavy (who have a 7″ coming up soon via ATH Records) and you’ve got Tres Oui. Wait, you haven’t heard Tres Oui? Me either, but it’s the new project of Nate from Literature…one of the greatest indiepop bands out there. So, those of you with that softer side of indie rock in your blood, join us at 10 PM tomorrow night.